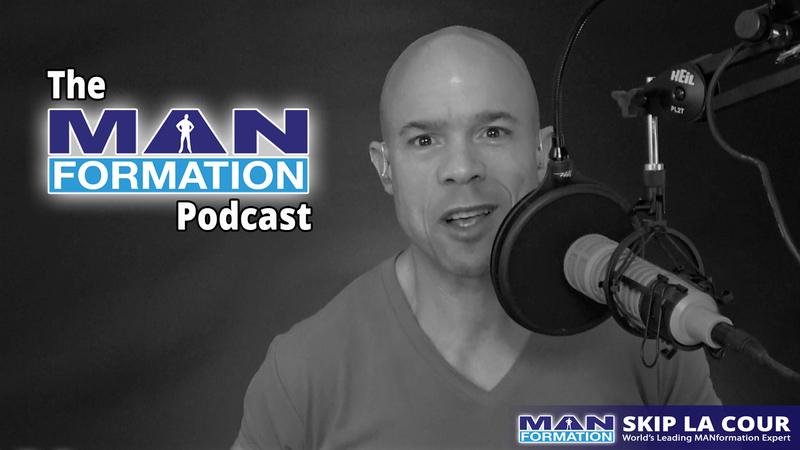 During this MANformation podcast, I’m going to share my personal story of confusion, pain, and finally redemption. I “left it all on the floor” as a competitive bodybuilder. I had given my all to my career for 15 straight years and reaped many awesome benefits that were far bigger than my six national drug-free bodybuilding championships. Maybe that’s why you and I have connected right now. That’s HUGE for me! My success came with what I saw as huge challenges. I felt I paid an extremely high price for those experiences. That journey left me scared. I just didn’t realize it. I held back from really going for it in other areas of my life after I retired. Something was missing. I just didn’t know what. I knew it was something much, much bigger than huge muscles, ripped abs, and towering trophies. But I had to figure out what was missing. As the saying goes, I didn’t work this hard just to get this far. I had to live up to the “potential” I knew I had inside of me. I had to live up to all that potential everyone told me that I had my entire life. I heard that so much that, people telling me I had potential, was no longer a compliment. It was starting to make me feel sick to my stomach. The years we’re going by and I felt I wasn’t even getting close to that potential people told me I had. That’s where the confusion and pain came in. I knew I had so much potential. Other people didn’t have to tell me that. I just couldn’t figure out what was holding me back. I couldn’t crack the code. As more time passed and I squandered more opportunities and wasted more of my potential, my confusion and pain turned to frustration and overwhelm. I’m happy and relieved to say that I finally figured out what was missing. I finally figured out what I needed to do. That’s what I want to share with you in this video and the PDF file I want to give you for free. That was it. That is how my competitive bodybuilding career was hurting me. It was too awesome of an experience. I wasn’t able to recapture those incredible feelings and emotions that I was addicted to. Not only can a mind once expanded can never go back to its original form, neither can your HEART! Neither can your GUT and level of DISCIPLINE! Neither can the level of COURAGE you built up inside! You’ve got to FULLY use what you have inside if you’re ever going to be happy. I learned how to use my contest preparation experiences to empower me and help me become more successful, happy, and fulfilled in all areas of my life in both good times and bad. I learned how to set my ENTIRE LIFE up like a contest to win big there too. It wasn’t nearly as simple as it sounds though. I have to call upon my over 30 years of being obsessed with personal development and working with the masters to put it together. Not only has it massively helped my wife, Carrie, and I take our entire lives to higher levels, I’ve been teaching my private, one-on-one coaching clients from around the world to duplicate this process. This process has helped them change their mindsets and direction of their lives almost instantly.